Wrongful death occurs when someone is killed as a result of the negligence (carlessness) of another. And as tragic as the loss of life is, financial compensation is the sole remedy avaialalbe at law to compensate for the value of the life of the deceased. 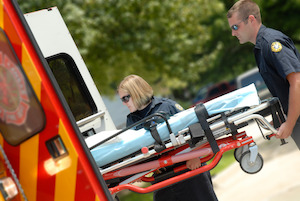 In a wrongful death action, the claim seeks to determine and receive compensation for the full value of the life lost. The claim is sought on behalf of the surviving spouse, children, parents, or heirs. To prevail on the element of "causation", the defendant must have been found to be liable where it appears that his negligence was the sole cause of the death complained of, or that his negligence put in operation other causal forces which were the direct, natural, and probable consequences of the defendant's original act, or the intervening agency could reasonably have been forseen by the defendant as original wrongdoer. Stern v. Wyatt, 140 Ga. App. 704, 231 S.E.2d 519 (1976). O.C.G.A. § 51-4-1(2) defines "homicide" as including "all cases in which the death of a human being results from a crime, from criminal or other negligence, or from property which has been defectively manufactured, whether or not as the result of negligence." Other negligence is the breach of duty owed to the deceased at the time the homicide occurs and may thus be slight, ordinary or gross negligence depending on the facts of the case which determine the duty owed to the deceased. Caskey v. Underwood, 89 Ga. App. 418 (1) , 79 S.E.2d 558 (1953). In Georgia, the measure of damages in wrongful death actions is the "full value of the life of the decedent, as shown by the evidence. The full value of the life of the decedent is determined without deducting for any of the necessary or personal expenses of the decedent had he/she lived." To simplify it further, the measure of damages is the same as if the person survived a tortious injury but was totally and permanently disabled due to the negligence of the tortfeasor. Thus, the recovery can be for the same damages had he/she survived except future special damages for medical and living expenses. Punitive damages (in Georgia) may be awarded to the administrator of the estate as pertains to the injuries sustained by the deceased, as well as, pain and suffering (of the deceased). Otherwise, punitive damages are prohibited in a wrongful death action in Georgia. Finally, as with other injury actions, a statute of limitation applies. Thus, the case must either be settled or lawsuit filed prior to the expiration of the applicable statute of limitations. Accordingly, when results matter, call the Atlanta Wrongful Death Lawyer, Trial Lawyers USA, LLC, at (678) 882-7355.